Climbing wall - Incredible comfy beds and warm duvets - Hot shower 24/7 - Amazing chill out room - BBQ garden - Art everywhere! Hotel Aragon offers travelers, accommodation comfortable, clean, safe and affordable in the historic center of Bogotá, a few steps from the main places of tourist interests and cultural of the capital of the country. 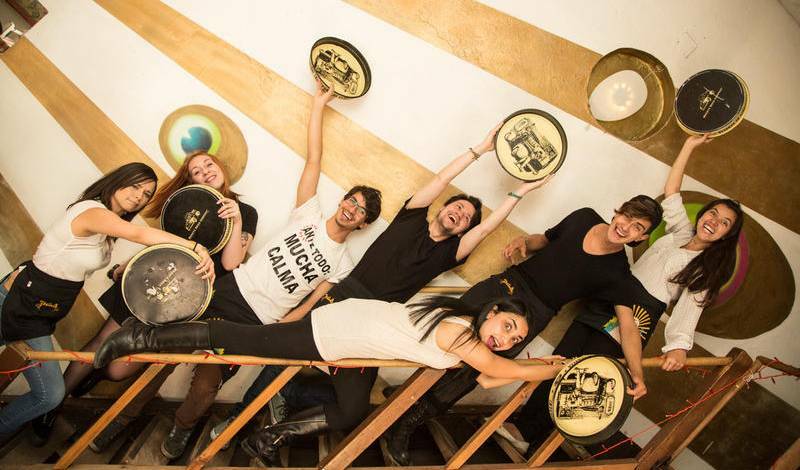 Lima Limón Candelaria Hostel combines arts and a relaxed atmosphere. Hostel in the main historic, cultural and touristic, colonial neighborhood. Alegria attends it herself, she is a backpacker, reason why the hostel is based in the knowledge required to cover all the needs you have as a cool traveler. Nuestro hotel se encuentra a solo 15 minutos del aeropuerto internacional y el terminal de buses. 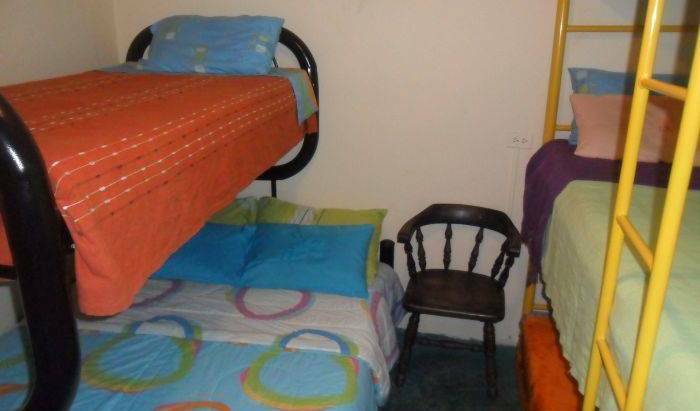 La Niña Hostel is located only 2 blocks away from Zona G, famous for it´s restaurants and bars. 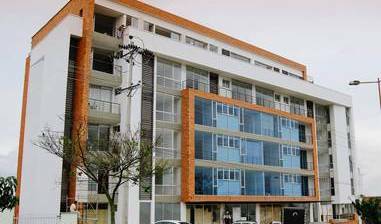 This hotel is located in Bogota (Chapinero), close to Av. Chile Shopping Centre, National University of Colombia, and Granahorrar Shopping Centre. La Pinta Hostel is located in Chapinero Alto, one of the best areas of Bogotá. Anandamayi is a very comfortable Hostel & Hotel in the loveliest house in La Candelaria old town. We provide travellers with an excellent, warm and homely atmosphere.. This hotel is perfect for you if you are looking for a relaxing stay in Bogotá. A quaint, boutique style, and cozy hotel & spa located in one of the best neighborhoods of North Bogota. Minutes from Park 93 and Usaquen. Operated by its propietors. ESTAMOS UBICADOS A UNA CUADRA DE LA EMBAJADA AMERICANA, A 10 MINUTOS DEL AEROPUERTO INTERNACIONAL EL DORADO, A TRES CUADRAS DE CORFERIAS, A 8 MINUTOS DEL TERMINAL DEL SALITRE. Los Andes Hostel is a first class Hostel located in north Bogota, the most exclusive and secure area of Bogota. We have an amazing location, comfortable beds and facilities, and friendly local staff who are happy to help you get to know our culture! Disfrute de comodas y confortables habitaciones con television por cable, Internet, wi-fi y un excelente servicio para que su estadía sea agradable y placentera. Alojamiento rural con espacios naturales y de recreación. Habitaciones con baño privado y compartido. Contamos con agencia de viajes. La Pinta Hostel with a private swimming pool is the place to learn Salsa! ideal para hospedarse ya sea por viajes, negocios, turismo, participación en eventos deportivos o para acudir a tratamientos médicos. It is the combination of adventure by day and romantic by night. Un sitio para que disfrutes de un paisaje único e inolvidable. Wellness open Sky. SPA Hotel a cielo abierto en medio de la naturaleza en las estribaciones de la Sierra Nevada de Santa Marta a 20 minutos de la ciudad. Tree House Hostel is a unique combination of chill-out backpacker vibes and the historical feel of Cartagena. We are located in the area of Getsemaní, which forms the artistic heart of the city’s urban culture. Hotel ubicado en el Barrio Manga de Cartagena de Indias, a 10 minutos de la playa. Cuenta con 13 habitaciones y 2 Apartamentos internos, Baño privado, TV por cable, WIFI, Piscina. Capacidad máxima de 32 personas. Our boutique hotel is located in Cartagena´s historical Old Town, only a short walk to most of the city's attractions. Welcome to restored colonial building with AIR CONDITIONING in a rooms with FREE TOWEL SERVICE included. The rooms have exclusive COURTINES around the beds and the LOCKERS . We have everything you need in our Hostel to make your stay in Guatape memorable. Ukuku es un hermoso ecolodge adornado de jardines e inmerso en la montaña, allí se podrá disfrutar en armonía con la naturaleza en confortables habitaciones de acomodación múltiple y de pareja. Authentic jungle experience at our guest house located in the Indigenous community of Tacana. Choose from 2 rooms with ensuite bathrooms, bunkhouse or hammock room. Hacienda Venecia, Four generation working Coffee farm 20 minutes from Manizales, the heart of the coffee growing region of Colombia. Hostal Triángulo del Café - Manizales. A country inn offering rural accomodations for those interested in staying in or around Manizales- located only 3km from downtown, our hotel allows visitors to enjoy the best of both worlds. Pilimar is a comfortable three floor 12 room hotel. We have four types of room accommodations; each floor has its own unique look and special feel. in the Sunshine Hostel we offer you all travel tips for this city, we have a free wifi high speed internet, flat screen tv with many movies . we will have bbq whenever youwant. come to chill out and enjoy medellin nightlife in poblado best located hostel! In the PitStop Hostel we provide you with the best facilities than any other hostel in South America. We provide you the time and space to relax, take the sun & party, to give you the holiday that you deserve. Paisa City Hostel has everything you need in a hostel, Comfort, Location, Friendly Staff, Huge Kitchen and much much more! Pool, Hammocks, the best mattress, close to the Metro station, ... everything you need in Medellín! Beautiful new hostel across from bar / restaurant area, Parque Lleras. 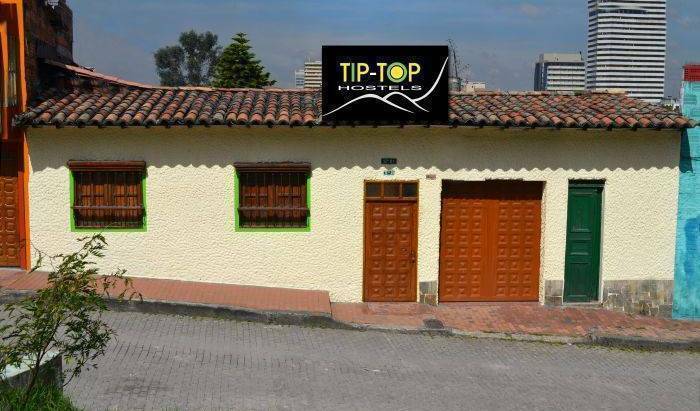 We are located in downtown Medellín near metro train stations, theaters, banks, museums, shopping malls, etc. A hostel with the warmth of home. Small hostel with private and shared rooms at inexpensive rates. Like a rare collection of art Happy Buddha is an expression; here you will encounter a brilliant mix of entertainment and serenity. 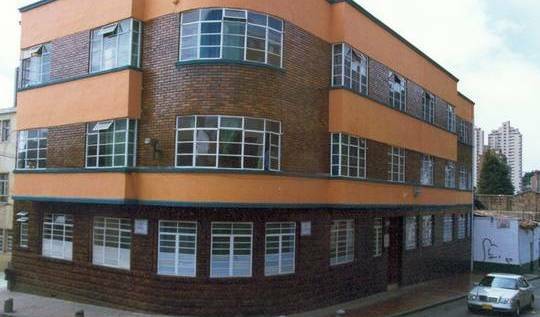 A bed and breakfast that welcomes families, backpackers, students and business people alike. Colombian Owned -- THE FIRST HOSTEL THAT OPENED IN MEDELLIN -- For many years Palm Tree Hostel offer travelers a very welcoming place with a family ambience, economical rates and lots of information about Medellin and Colombia. Memphis Hostal, sientase como en casa... relajate y deja que nosotros trabajamos. At only 5 minutes walking from famous "Parque Lleras". It has a pefect ambience for relaxing and make new friends from all over the world while having a beer in our cozy living room or our beautiful garden. Este Hostal se encuentra en el centro histórico de Mompós y ofrece conexión WI-Fi gratuita, mostrador de información turística y una cocina compartida totalmente equipada. Contamos con el mejor servicio. Alquiler de fincas en el quindio, hoteles en el quindio, alquiler fincas eje cafetero, hoteles eje cafetero, alojamientos en el quindio, fincas para alquilar en el quindio. WE HAVE ALL YOU NEED TO ENJOY COLOMBIAN COFFEE ZONE Camper & Camping, green area to parking or camp. Dormitory and Private Room. Downtown Salento location Hostel and Art Gallery. A place where local artist gather, painters, writters, musicians. Multilingual staff, very cossy, memorable breakfast menu. Gay friendly. The hotel is a haven of peace, isolated from the hustle and bustle, nestled between the sea and a beautiful mangrove. Located in a virgin place of the Island, special to rest, to do sport and to contemplate the nature. SARAJE ES UN CONFORTABLE HOTEL QUE CONSTA DE 45 HABITACION, PISCINA, GIMNASIO, RESTAURANTE, SALON DE EVENTOS, MARKET. Our mission is to make the guest stay to complete experience within your trip, making them feel at home, combining good vibes, low prices, cleanliness, fresh beds, a homely atmosphere, comfort, and tranquility. Typical Guests house with private rooms, 300 mts close from the sea, 25mts close from route bus, WIFI, frontdesk 24hrs. Best Budget Comfort in Santa Marta, sleep easy. Perfect place for the budget traveller that wishes to have cerain level of comfort. The extra in rate buys you a much better vacation. We have specials for groups. Contact us today. ISLA Hotel y Hostal en el Rodadero. 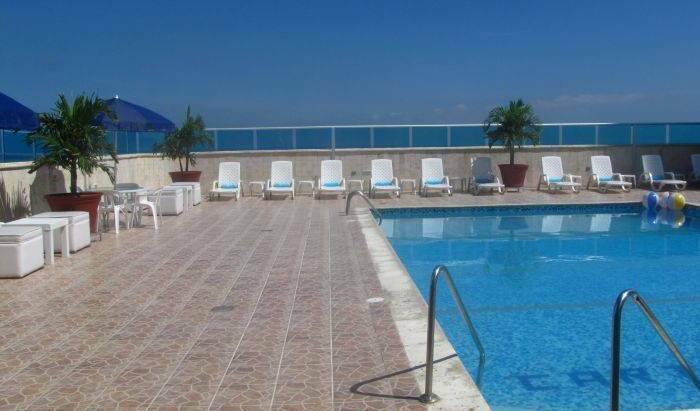 Casa Escollera is located in Santa Marta, 2, 300 feet from El Rodadero Beach. CASA DEL RITMO is a new hostel in Santa Marta City and an unique hostel in Rodadero sector. 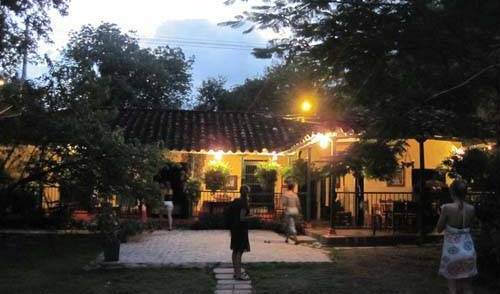 Located 200 mts from the beach and 800 mts from Rodadero downtown, CASA DEL RITMO brings you a authentic colombian experience. Hostel Casa Jamaica in Taganga, Caribbean coast of Colombia. Reggae, Swimming Pool, Bar, BBQ. Hostel inspired on the Kankuamu tribe of the Sierra Nevada of Santa Marta, designed guardians of the mountain. Eco care atmosphere. Beyond basic hostel services and accomodations. Hermoso hostal ubicado en taganga, Santa Marta, todo para estrenar, con grandiosa terraza con vista al mar y a las montañas, capacidad para 23 personas, seguridad 24horas, habitaciones privadas, grupos, y duplex para 5 personas, arriendo por meses. Magic House es un lugar encantador, tranquilo y comodo, alejado de los molestos ruidos de la ciudad. Excelente servicio y ambiente hogareño; aireadas y amigables zonas comunes te esperan para momentos inolvidables. HOTEL COLONIAL EN EL MUNICIPIO DE VILLA DE LEYVA RED DE PUEBLOS PATRIMONIO DE COLOMBIA, A 130 KMS DE BOGOTA. PARA DISFRUTAR SU ESTADIA EN UN DESTINO CULTURAL , DE NATURALEZA Y TRANQUILIDAD CON GRAN OFEETA DE GASTRONOMIA Y ACTIVIDADES DIVERSAS.